I've been waiting a long time to write today's post which features a place near and dear to my heart. I actually first visited the Joseph L. Popp Butterfly Conservatory three years ago in September of 2013. We went back a month later with our granddaughter and my mom and have been wanting to go back ever since. As soon as Elena moved back from Indiana, a visit to Popp has been high on my 'to-do' list and this week we finally got to check this one as 'complete'. Come along as I take you on a visit to the tropics in Oneonta, NY. The Joseph L. Popp Conservatory is a 3,000 sq. foot tropical garden located in Oneonta, NY. Actually, despite the name, the conservatory houses very few butterflies. While that may have originally been the main feature of the conservatory, they are not currently. 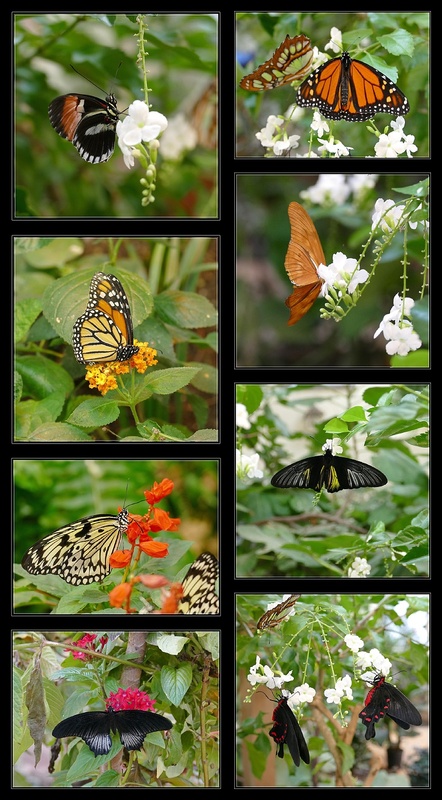 Popp does have butterflies - mostly during the warmer months, and we did get to enjoy several on this visit, but if you go expecting to see what you might see at some of the other, more well-known butterfly exhibits, you will be disappointed. You will, however, see a variety of other wildlife. Popp's Instagram name, Garden of Earthly Wonders, is probably a more accurate description of the wonderment found within its walls. At the conservatory you'll get the chance to meet and greet all sorts of creatures from birds to tortoise, lizards to lungfish, bugs to butterflies. At first you'll look around and think there's nothing to see, just a lot of plants, but that's the fun of it. You'll get to go on a treasure hunt to find as many interesting living things as possible - in the air, under the plants, in the water, and in tanks. 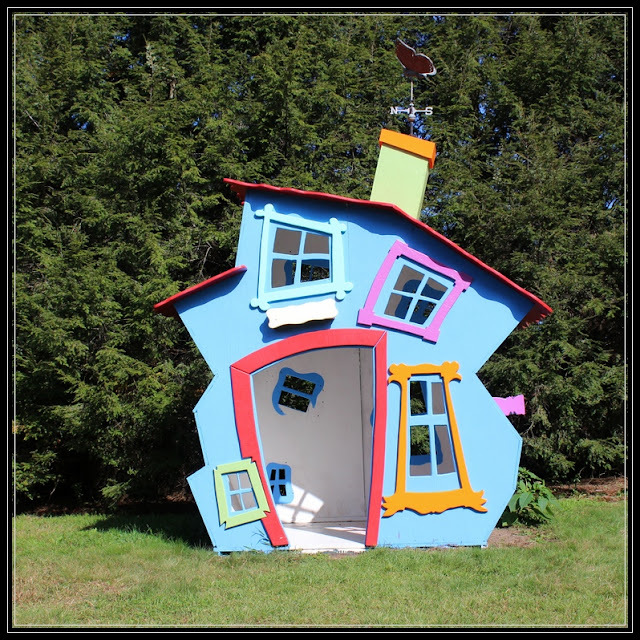 What kid doesn't love a treasure hunt? 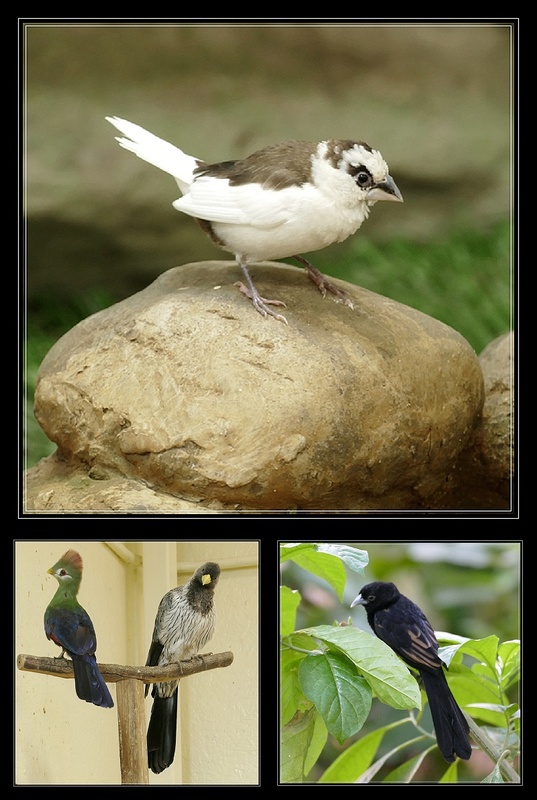 One of the big features at Popp is a large variety of tropical birds. Because the birds are flying free at the conservatory, it might take you some time to spot them all. I think I saw all of them, but a few were successful at eluding the paparazzi. Here's a peek at some of the beautiful birds there! Two of the many turacos at Popp. To be able to watch these beautiful birds, uncaged, flying free throughout the conservatory is such a special treat. One of the newer and more tame birds you'll meet is Diggy. Diggy is an aracari, from the toucan family, that was adopted from a family who couldn't keep him anymore. Diggy has a very special relationship with Robin and there's no hiding it! For the little boys (and brave little girls), Popp offers a wide array of reptiles and even some fascinating insects to meet and greet. Meet Sadie (below), a 20 year old red footed tortoise! Insects more your speed, well how 'bout these? Elena opted out of the 'up close, meet and greet' on this fella but Grandpa was brave enough. This is a leaf insect! He looks just like a leaf! Now tell me what kid you know wouldn't just love this place? What's so awesome about Popp is that Christine and her staff are enthusiastic about sharing the Popp creatures with their visitors. They'll give you a chance to see them up close and will tell you all about them. Kids will be in awe when they get the chance to have a stick bug on their arm or pet a bearded dragon. This is our third visit to Popp, our second with Elena. Even after 4 years since her first visit at Popp, she still remembered her time here. Popp Conservatory is small. It is not pristine and sparkly and it looks a little worn, both inside and out. During the past couple of years, Popp has experienced some major hardships. In 2015, the conservatory had to close due to weather and water damage. They were closed for 7 months. During that time, all the plants in the conservatory died and for a while things looked pretty bleak for Popp. A Go Fund Me page was set up and so far $3850 has been raised which helped to repair the worse of the damages. Thankfully, due to people who love the conservatory, including Christine Ryan who is the only original staff left at the conservatory, they have finally re-opened. It is obvious that her heart lives and breathes for the life of this conservatory. Robin Jorgensen is a dedicated, full-time volunteer who helps at the conservatory. He does a variety of tasks, not to mention the whimsical playhouse he built on the property. Yes, Popp has suffered a painful setback but I was so excited this week to see it is coming back and is brimming with new life. 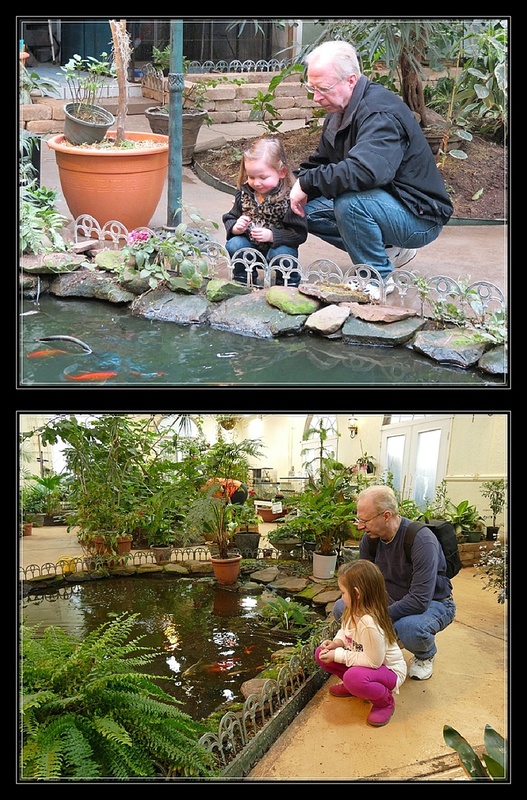 Popp Conservatory, thanks to it's dedicated caretakers, is filled with new life! Popp is a very special place, a place unlike most. It's a place kids will love, and so will big kids who love nature. Don't go there expecting a fancy conservatory. You will be disappointed. There are still some improvements to be made, the plants are new and not all big and lush yet and free-flying birds do make a little mess, but I promise you will have a wonderful, hands-on experience with nature. And isn't that what you're looking for? Otherwise, go to a museum! Popp is run by a very small number of folks, mostly volunteers. That means their time is spent where it is most needed - in the conservatory caring for the animals and trying to keep up with the task of feeding and cleaning up after them. That leaves little time for attending to social media. Therefore, I advise calling before you visit to check the current hours. A link to their website and Facebook page will be included at the end of this post. Popp welcomes groups too. Just this week they hosted a school field trip and a group of seniors. Please consider showing a little support through a Go Fund Me donation or through your admission to this really wonderful place. Popp is currently closed on Mondays, but hours and days do change, so be sure to call before visiting.